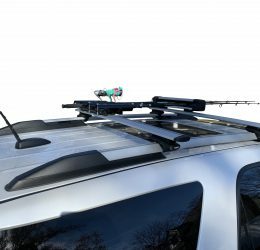 Meet our new line of automotive products made in the USA! 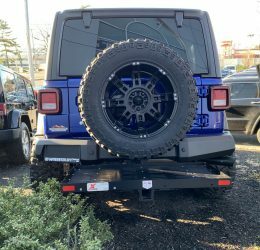 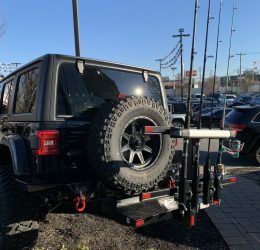 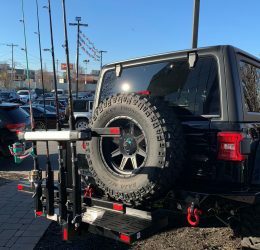 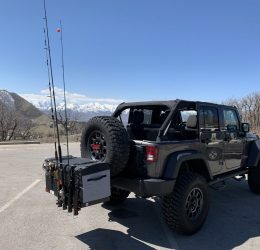 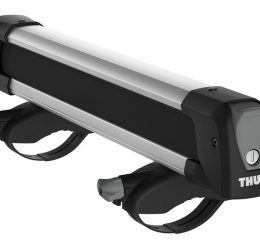 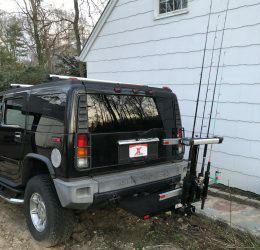 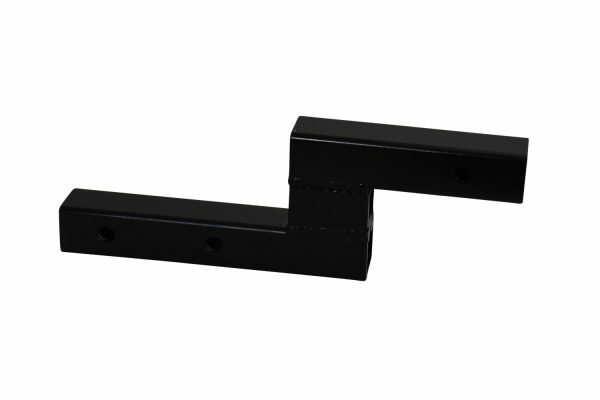 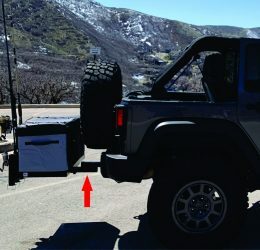 Any of our racks will fit any vehicle with a 2” receiver hitch. 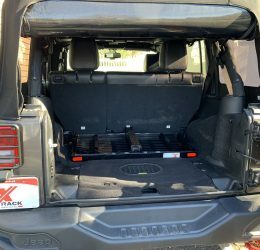 Kindly check measurements of rear storage before purchasing. 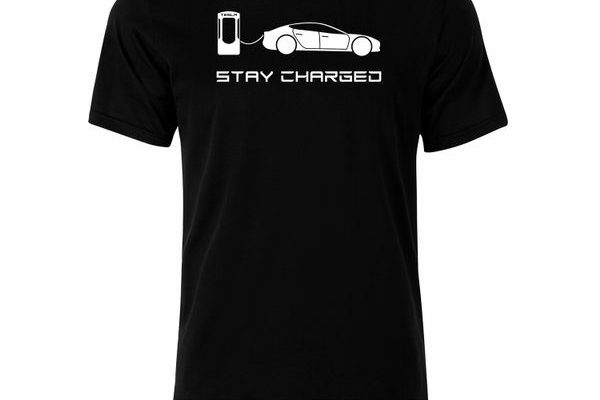 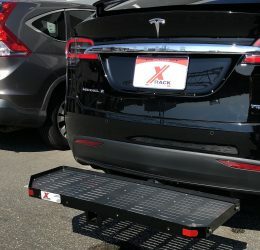 Don’t own a Model X? 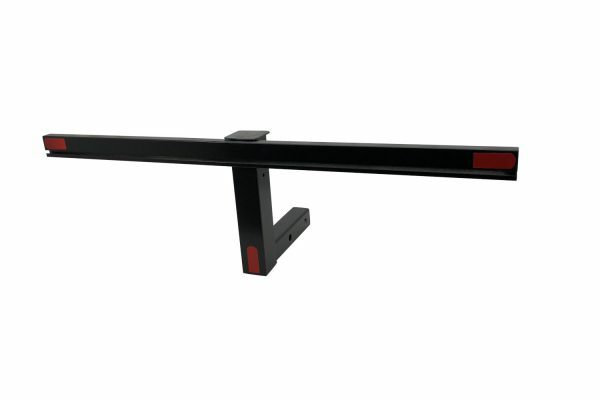 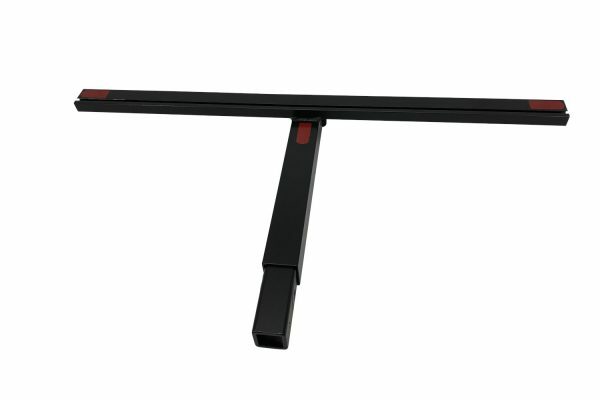 Check out our universal models (UHD and U-Mini) that work with any car or SUV with a hitch. 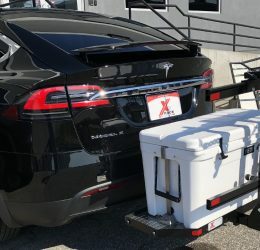 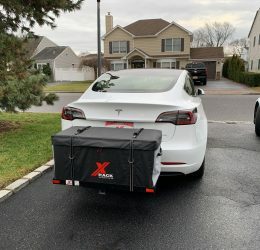 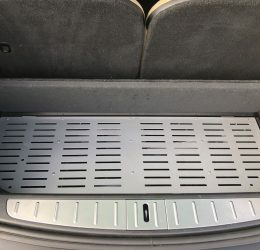 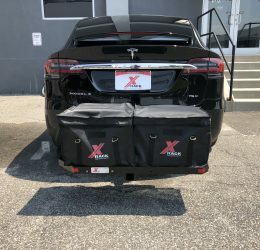 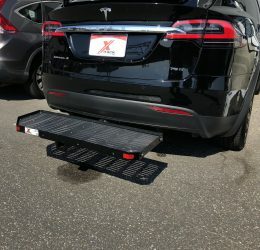 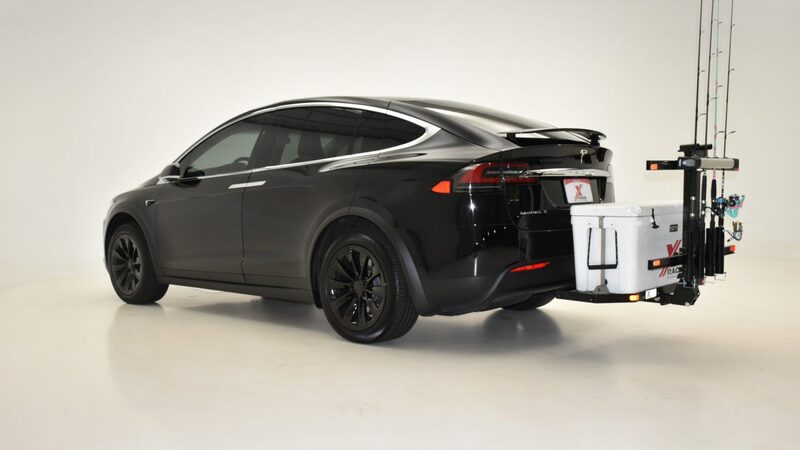 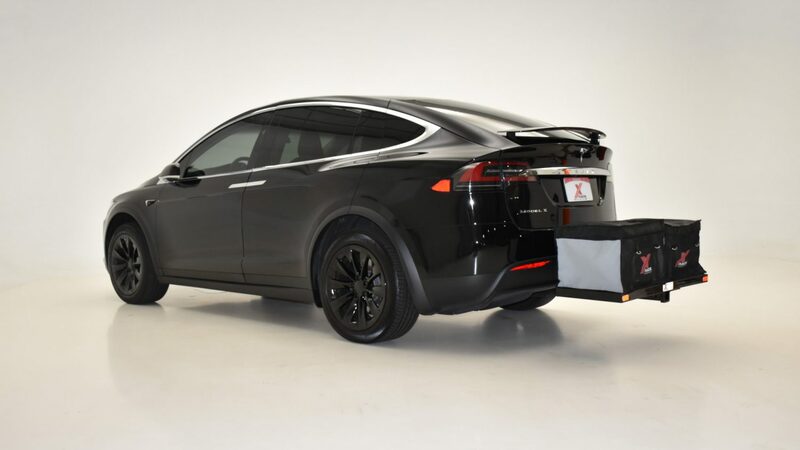 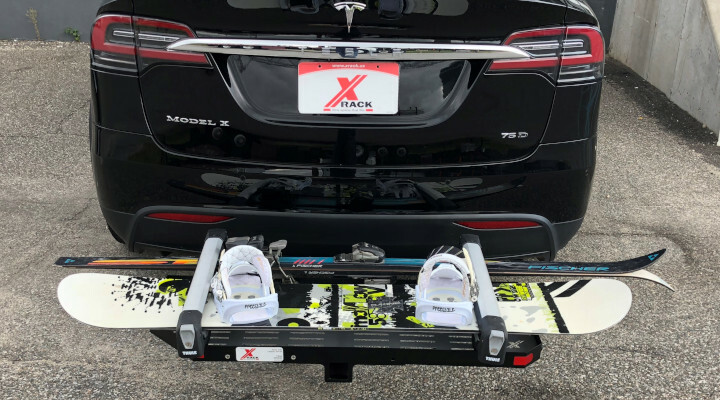 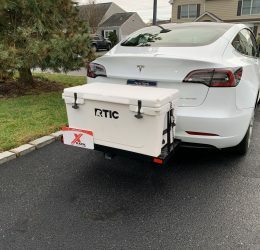 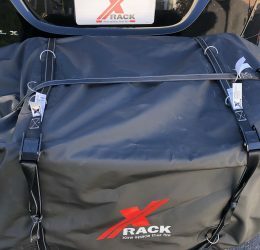 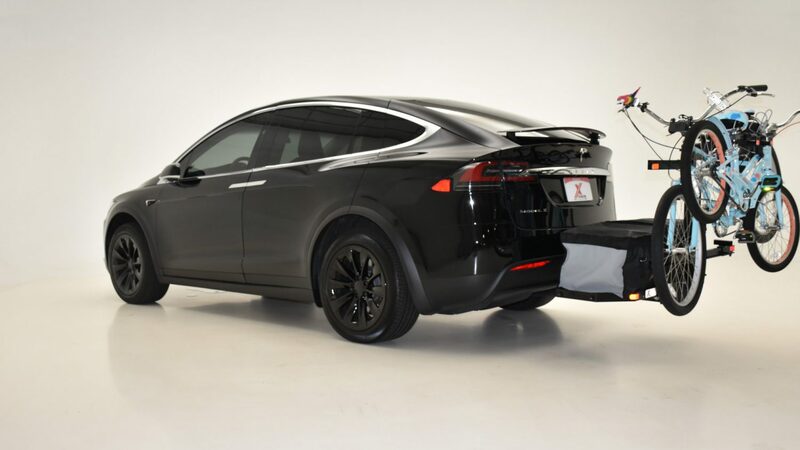 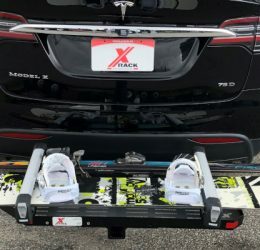 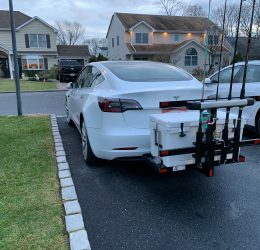 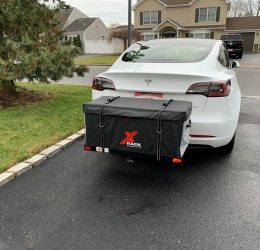 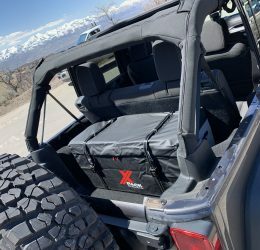 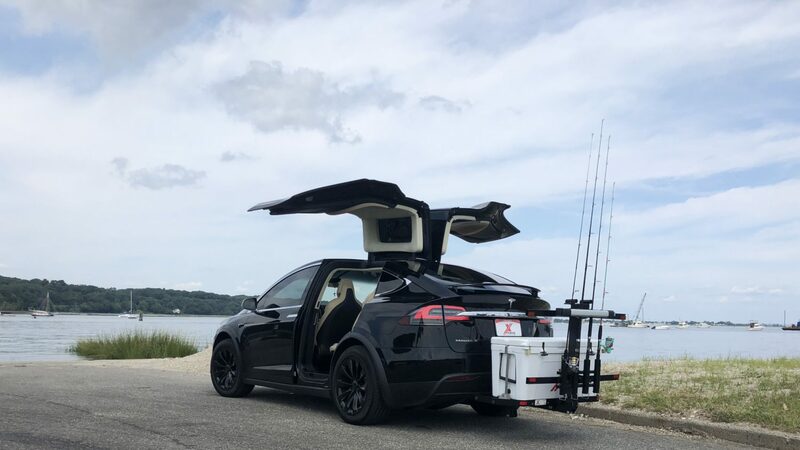 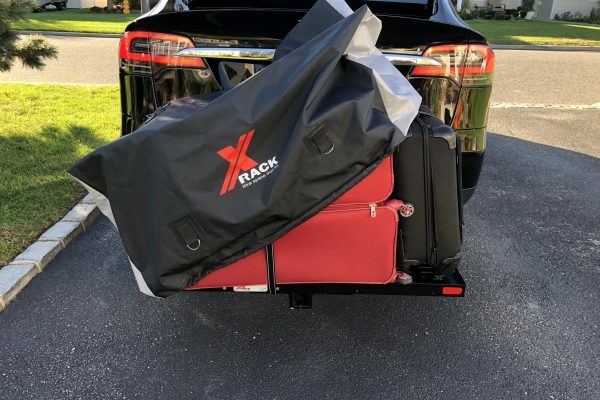 Why is the X-Rack cargo carrier a must have if you own a Model X? 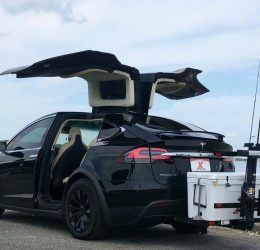 The Model X has Falcon wing doors that open above the roof, this will not allow for any roof mounted cargo box, bag or rack. 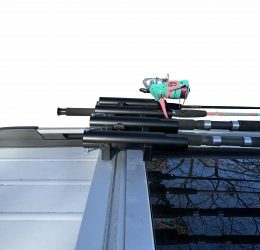 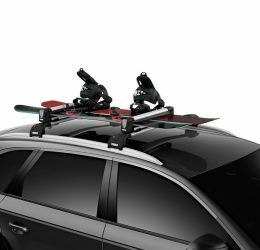 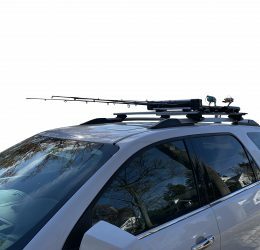 Skis, Snow boards and fishing rods cant be mounted to the roof. 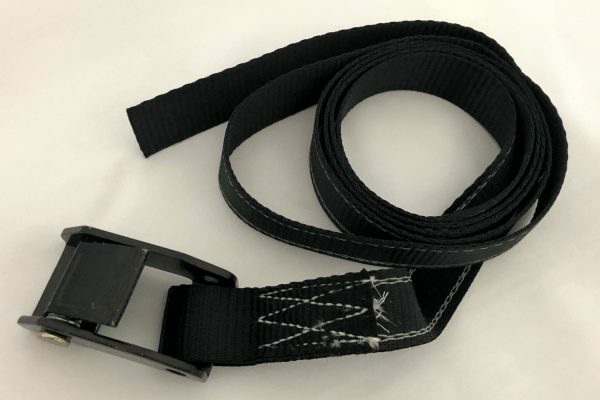 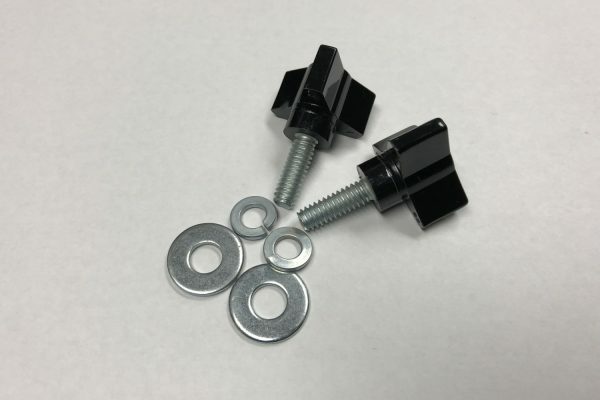 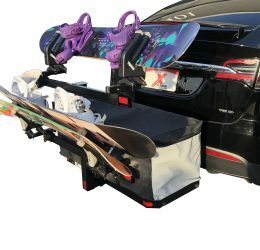 We are working on an accessory rack that will work with our X-Rack Cargo carriers to add these items to the rear receiver slot on the back of our cargo carrier. 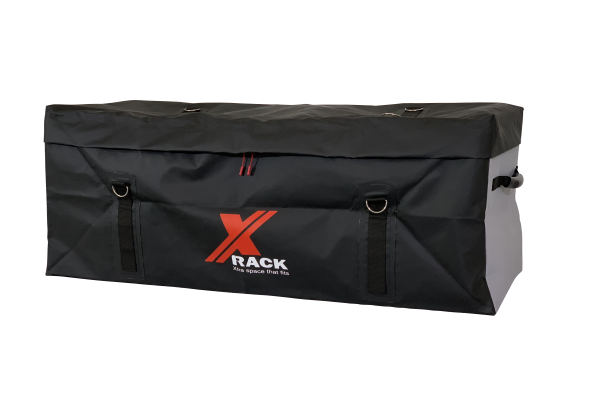 The X-Wing (Coming soon) accessory rack can also be used as a standalone rack to transport all types of sporting equipment. 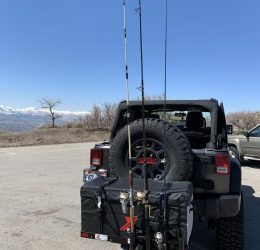 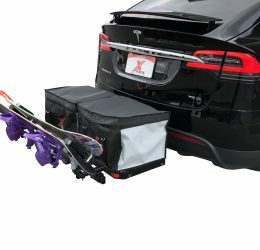 Bikes, snow, and fishing gear. 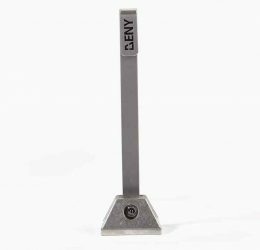 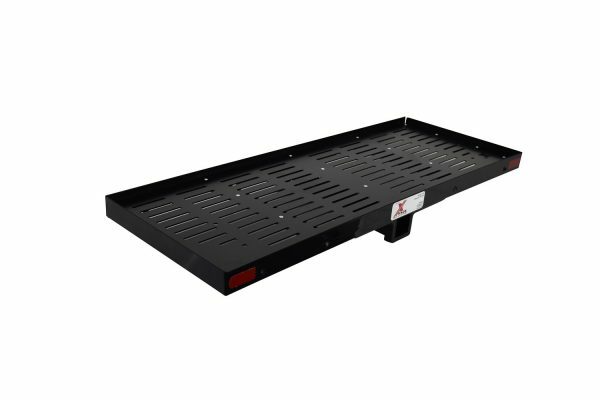 All of our cargo racks also feature a mounting point for Deny Cooler locks (sold separately). 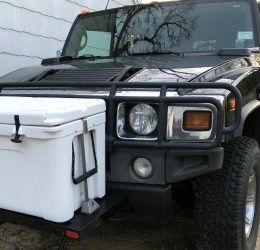 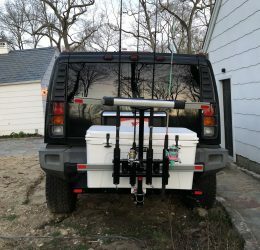 This will allow you to transport your expensive rotomolded coolers securely locked to your rack. 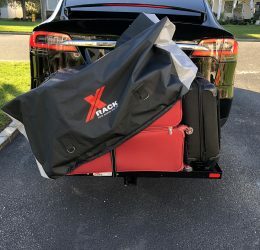 We hope to make your travels more enjoyable with more room in you car for your family. While our cargo carriers can work with any 2” hitch receiver our X-Lite (250lb) and XHD (500lb). 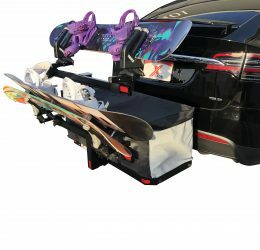 Racks are custom designed to fit and store in the rear trunk well of the Model X. 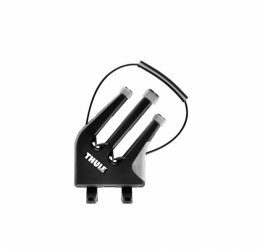 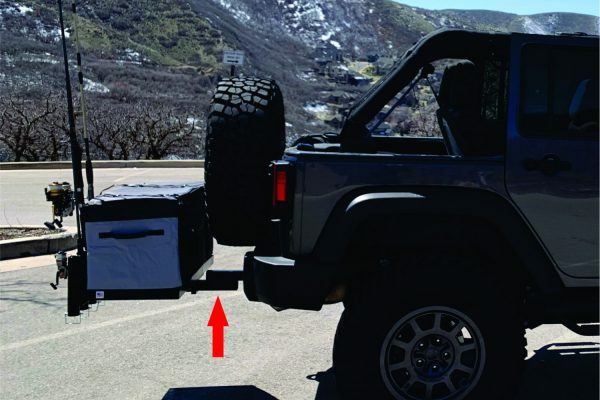 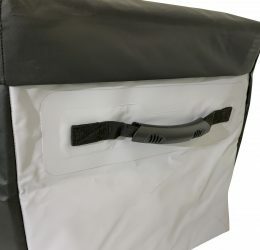 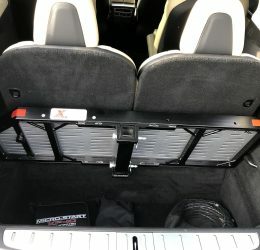 It can be stored in the lower position under the trunk floor cover or it can replace the trunk floor cover and tilt up the same way to gain access below. 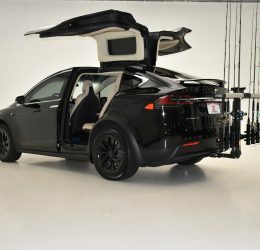 The UHD is our universal model and will work and fit inside most SUV’s. 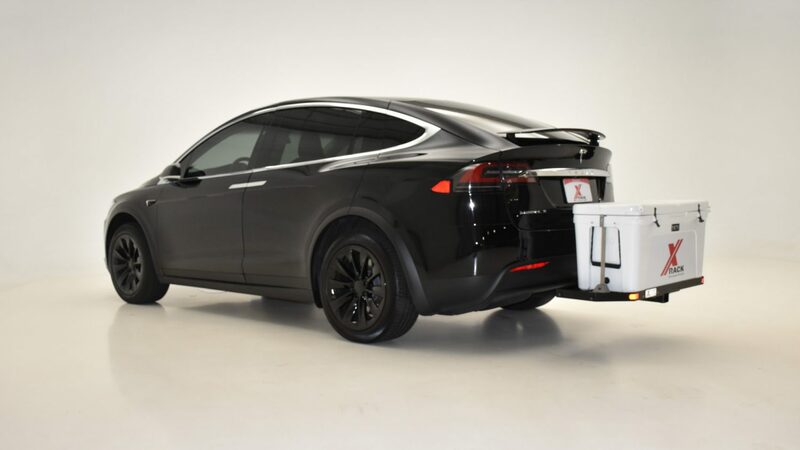 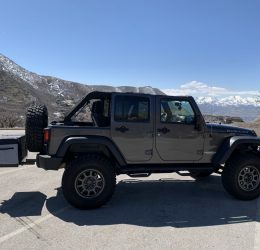 All of our cargo carriers are made from aluminum which makes them extremely light weight and ideal for Electric vehicles and have capacity loads of 250-500lbs. 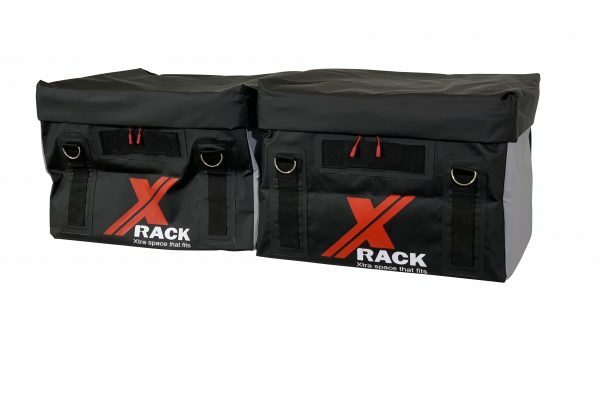 Our average rack weighs less than 17lbs making it easy for anyone to install. 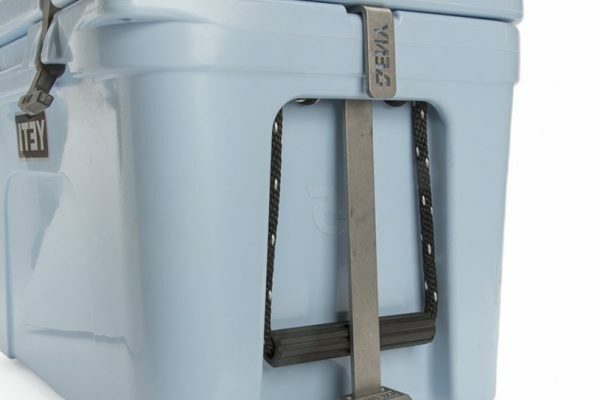 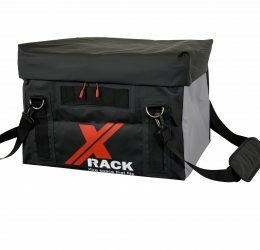 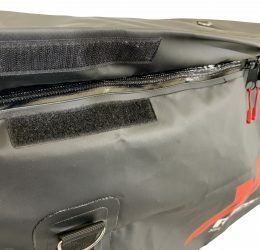 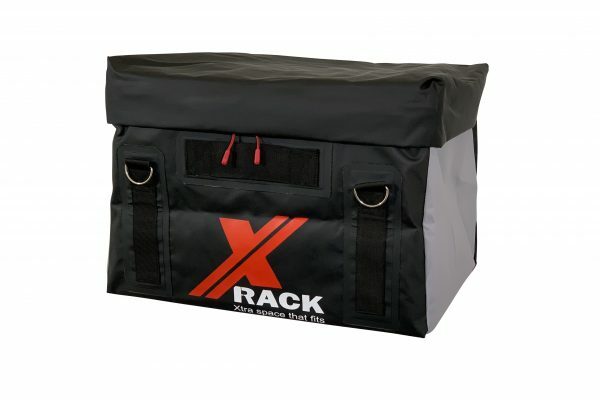 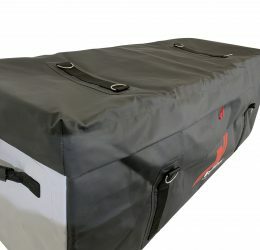 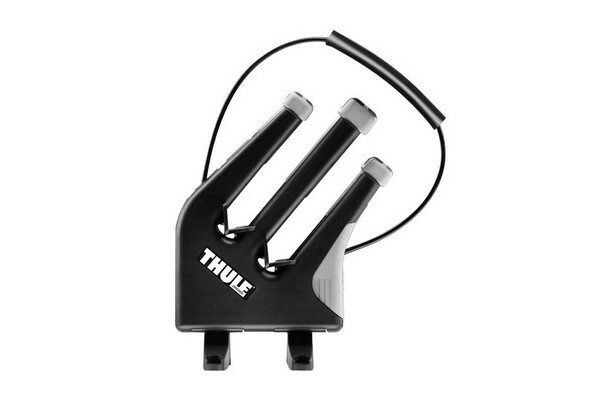 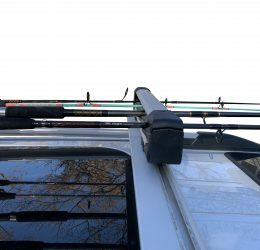 Our Cargo carriers feature a sliding receiver tube which stores flush in the rack. 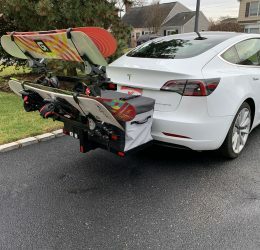 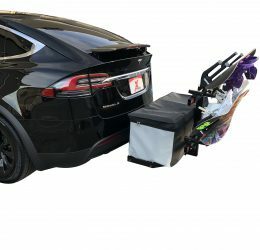 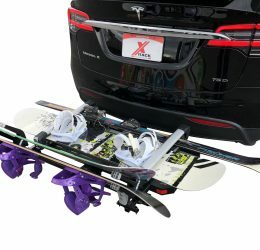 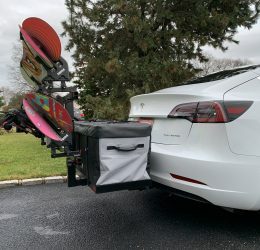 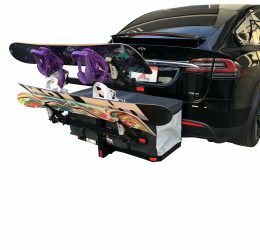 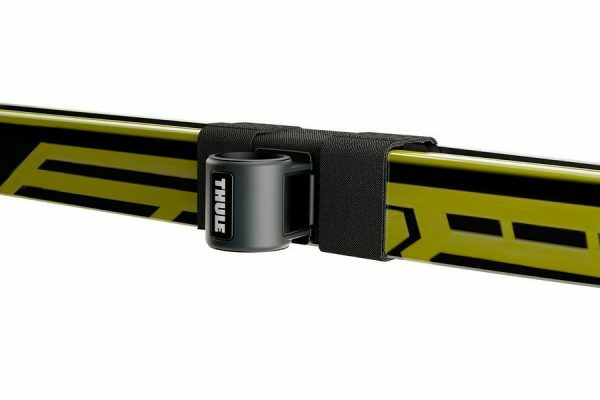 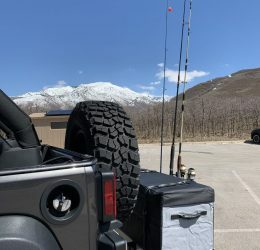 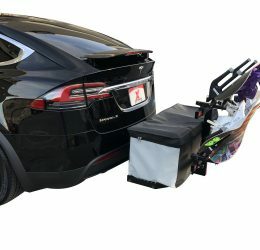 This light weight Cargo Rack with its retractable hitch sleeve, fits in the rear storage compartment of your Model X. Accessory attachments can be inserted into the rear receiver on the XHD including, bike racks, ski/board holders, fishing rod holders and our exclusive extension deck to make it larger. 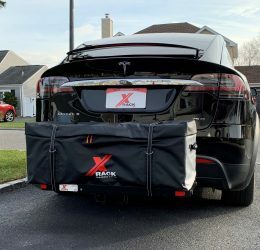 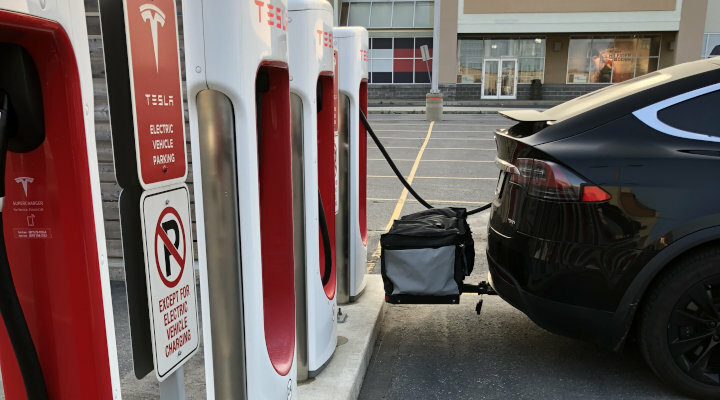 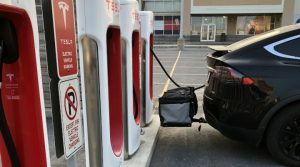 Is the X-Rack only for Tesla cars? 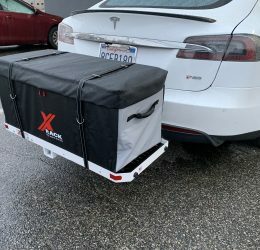 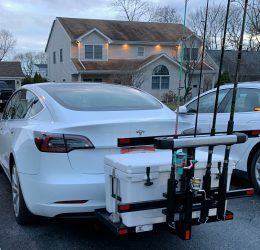 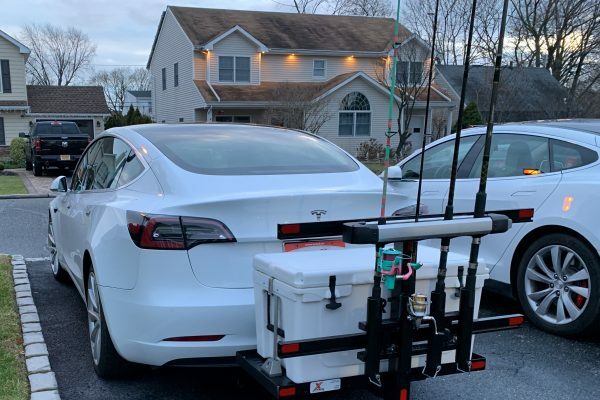 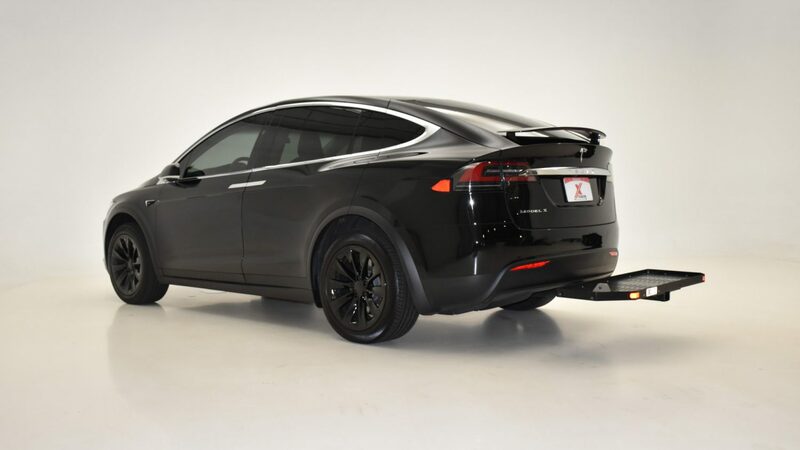 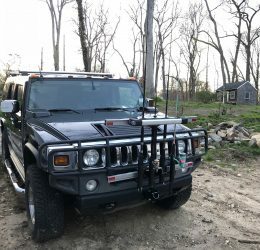 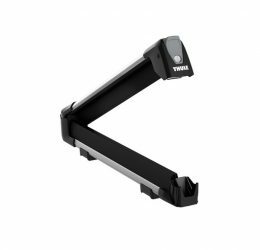 While our flagship product is custom made for the Tesla Model X, we do offer universal models that can work with any car with a 2” hitch receiver. 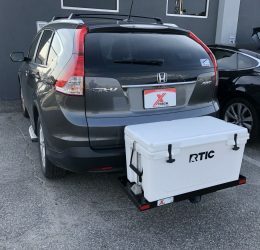 Look for our quick finder to find out if our cargo carrier will fit inside the trunk or back of your vehicle while not in use. 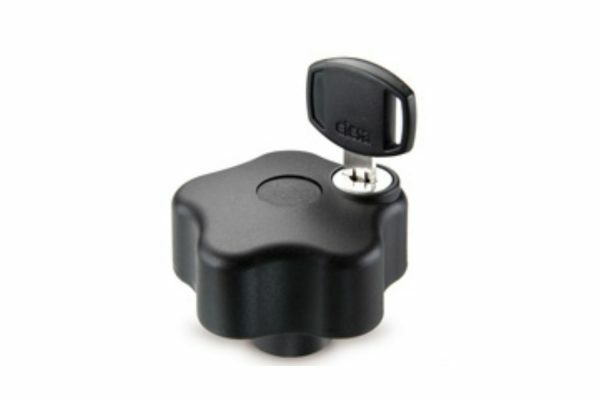 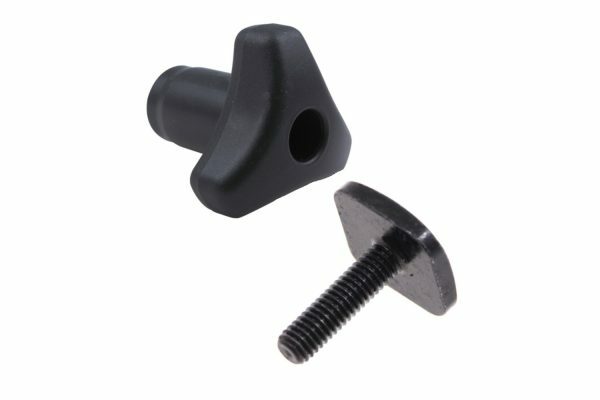 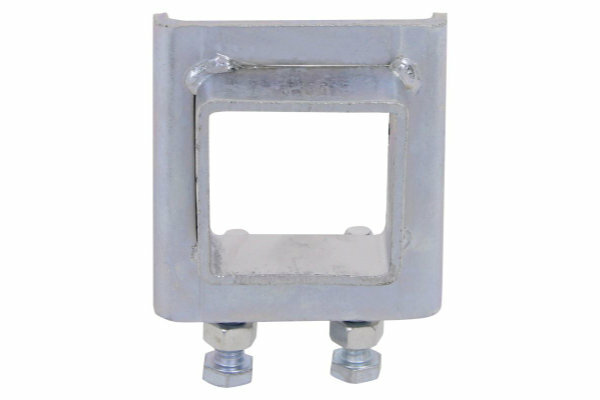 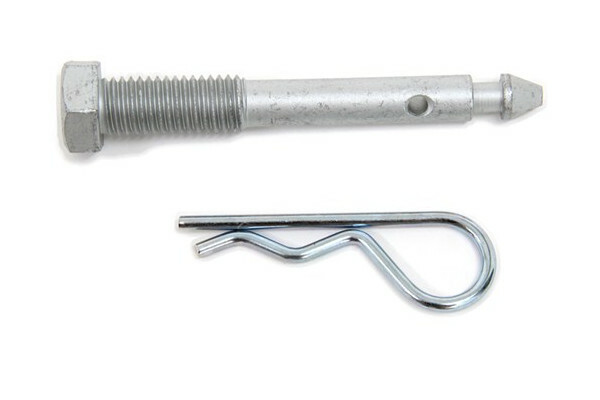 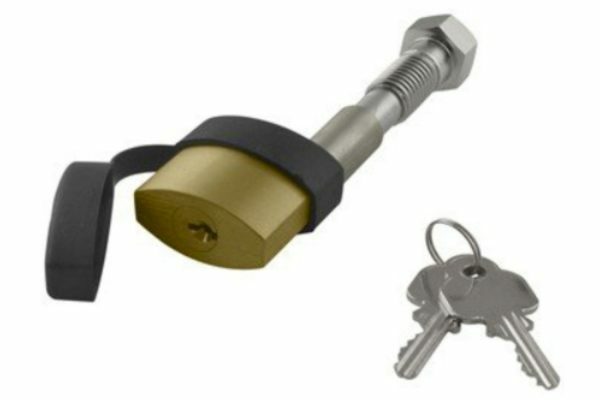 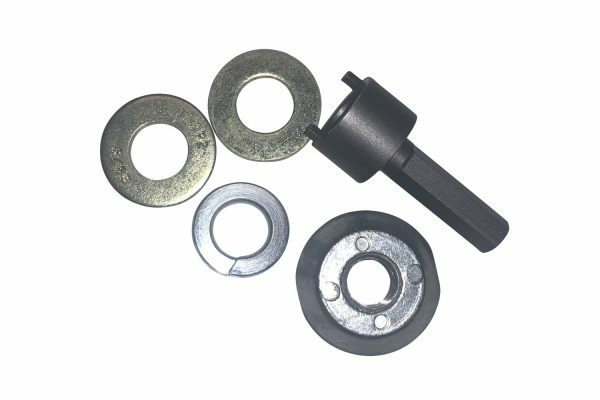 We also make an optional adapter to use with 1.25” receiver hitches. 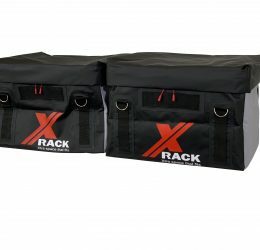 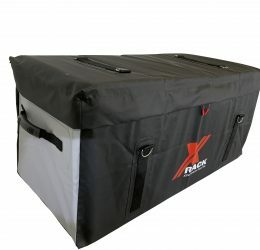 How do I know the X-rack will fit and store in my trunk? 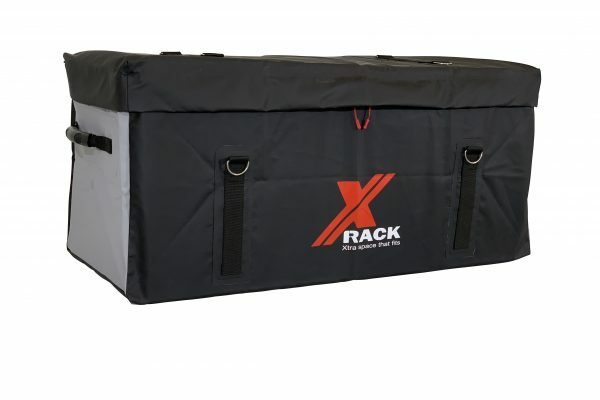 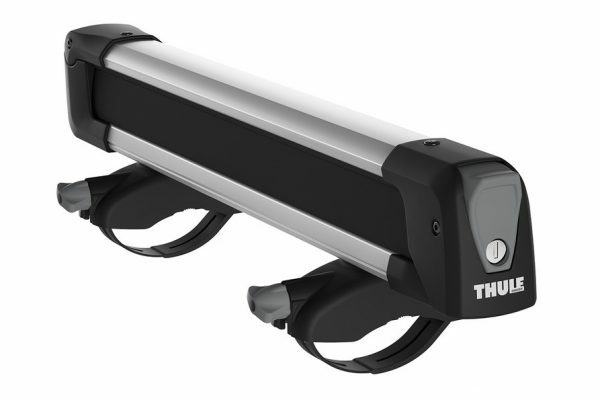 Use our quick finder to see which rack will store in your vehicle while not in use. 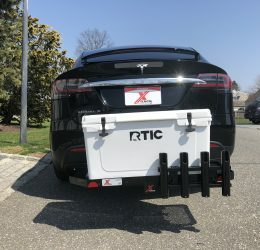 What if the X-rack blocks my license plate? 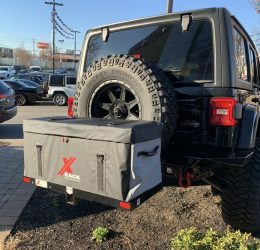 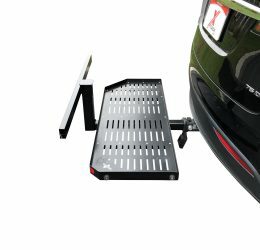 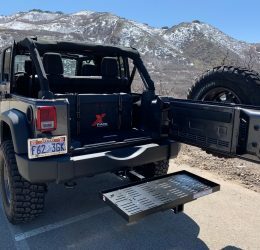 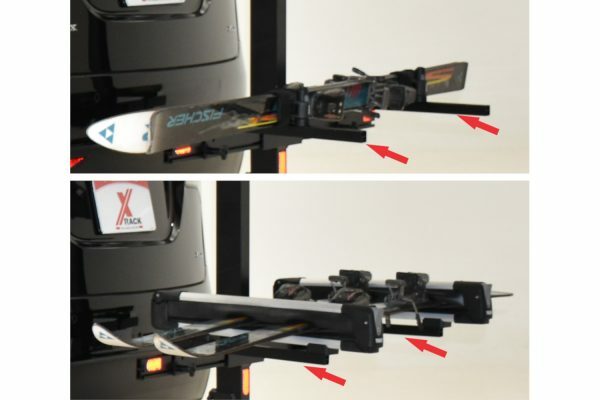 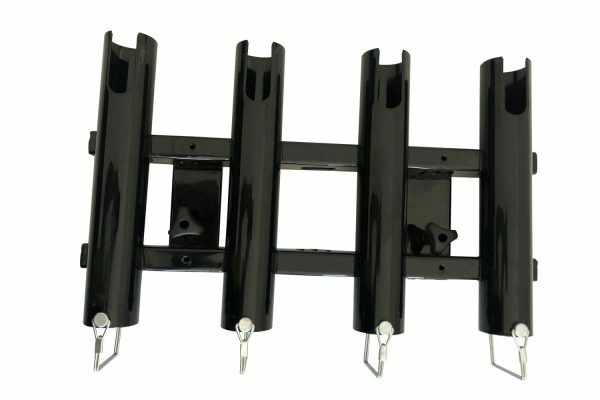 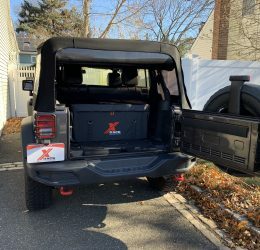 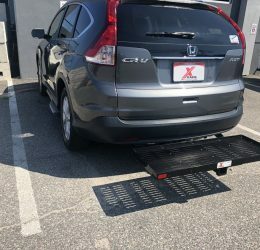 All X-Rack Cargo carriers have a license plate mount on the rack for relocating your license plate if needed. 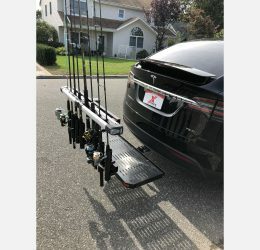 Please follow all local and federal laws. 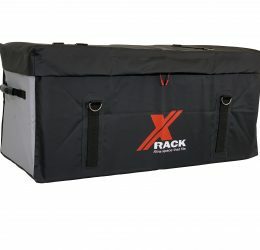 How much weight can the X-rack hold? 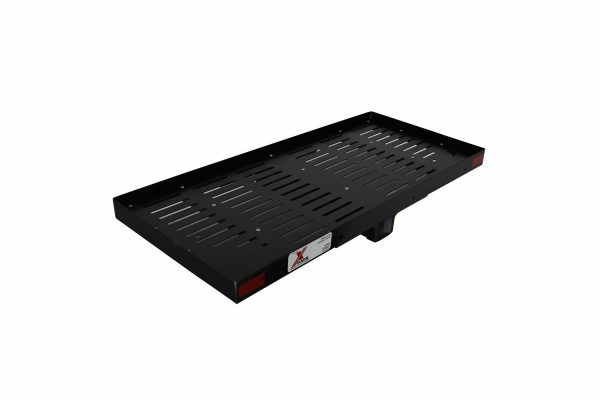 Our heavy duty (HD) series of racks can hold up to 500 lbs. 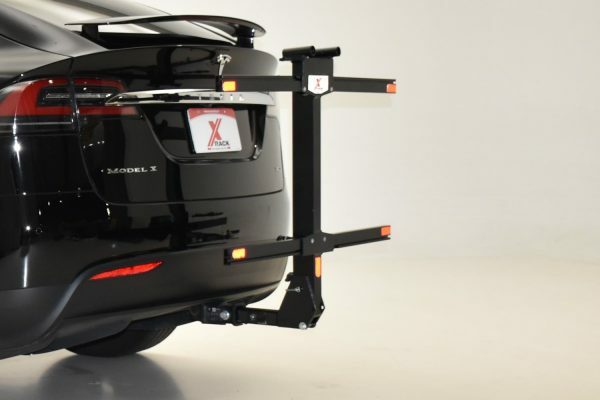 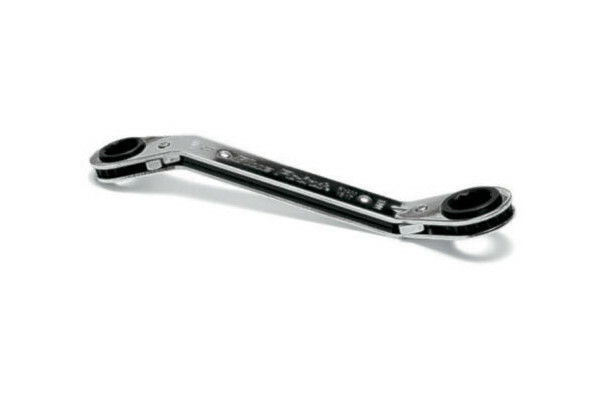 of evenly distributed weight, our Lite versions can hold up to 250 lbs. 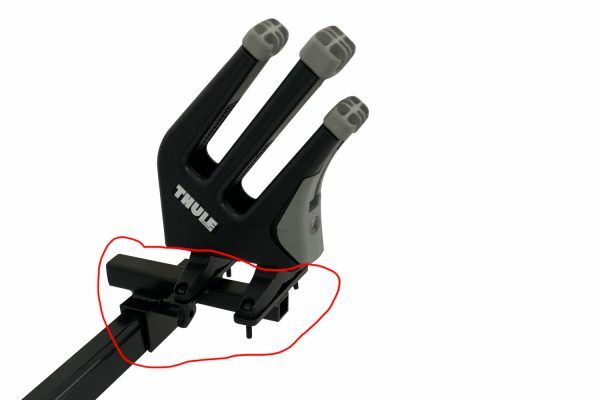 Please reference your instruction manual for more details. 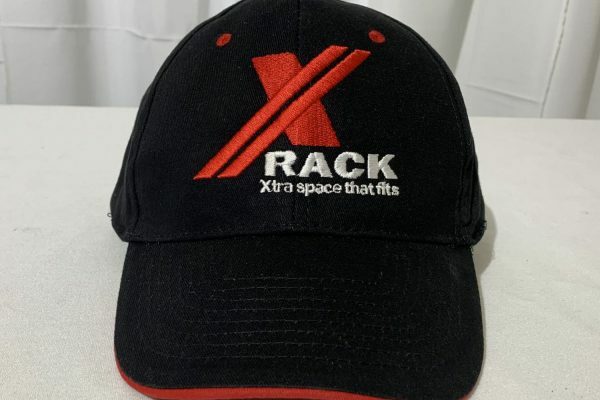 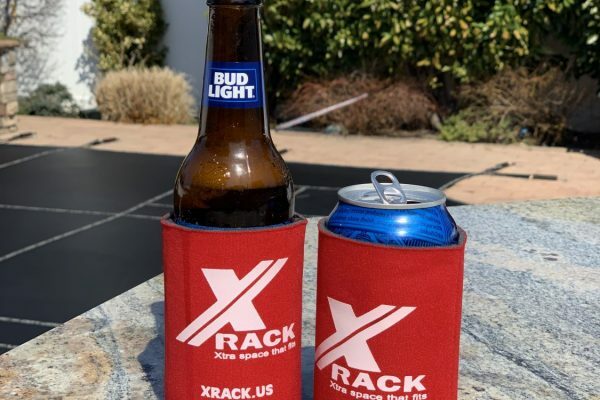 X-Rack products are extremely versatile. 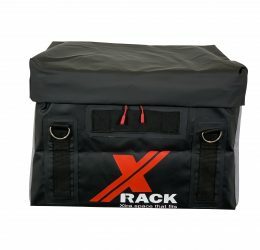 Check your cart for free offers on these items!